Oculus VR founder Palmer Luckey on Wednesday said the company did a poor job of communicating the price of the consumer version of the Oculus Rift headset. However, similarly priced products, such as TVs and smartphones, cost less to manufacture than the Rift VR headset, he said in a Reddit Ask Me Anything, or AMA, session. Luckey gave an “ill-prepared” statement last year when he responded to the message his company had been pushing, which was that the cost of the Rift and a Rift-ready PC would be around $1,500, he said. Some outlets confused that $1,500 with the retail price of the Rift itself, he said. He was trying to suggest that the price would be closer to the $350 price that was originally floated than $1,500, so he said “roughly” in the ballpark of $350. When asked about the price of the VR platform’s delayed Touch controllers during the AMA, Luckey said he was done offering ballpark figures, although he went on to throw out another ballpark figure when asked about the cost of content in the Oculus store. The Rift’s bundles, the first of which start shipping in late March, will include space combat simulator Eve: Valkyrie and third-person platform Lucky’s Tale as freebies, but gamers can expect the higher-priced AAA, or blockbuster, experiences to cost somewhere around the price of a new console game. That price is $60 standard. Those who have Rift-ready PCs — computers kitted with an Nvidia GTX 970 or an AMD 290 GPU — or are trying to get there likely already are accounting for the cost of the Rift in their budges, according to Christine Arrington, senior analyst for games at IHS. “Many of these gamers update or upgrade their systems frequently, so it will just be another upgrade in a long string of upgrades for core gamers,” she told TechNewsWorld. “I think the focus on Eve: Valkyrie shows that Oculus is well aware that the buyer at this price point is going to be in the niche core PC gamer segment,” Arrington added. Over time, the price of the Rift will become more attractive for the broader market, she said. 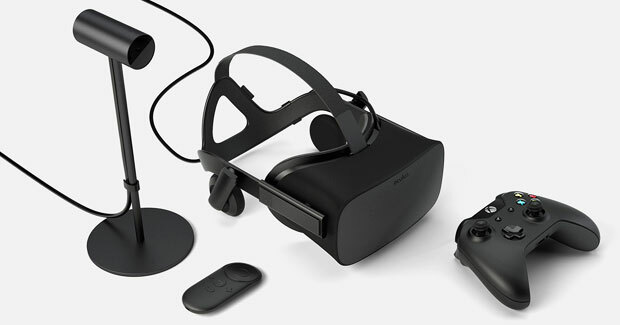 With a price that’s “not far off from the cost of a high-end display,” Oculus VR already has attracted the early adopters, noted Ted Pollak, senior games analyst at Jon Peddie Research. In the meantime, the price of VR equipment shouldn’t do much to hamper consumer interest in the tech, according to Arrington. The pricing is in line with strategies for other high-end gaming equipment.